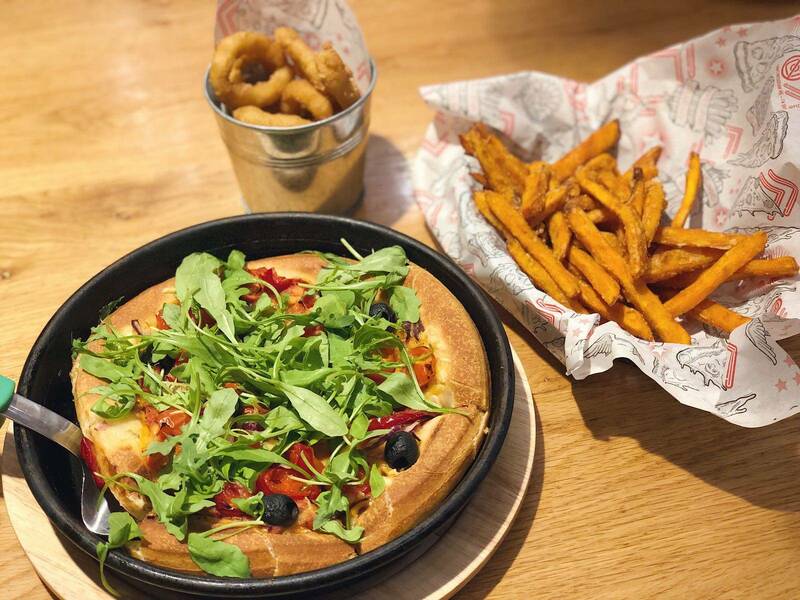 If you’re vegan and you use social media, but you didn’t know that Pizza Hut Restaurants have recently introduced a vegan cheese to their menu, you must’ve be living under a rock the past few weeks as it has certainly SATURATED my social media feeds! They’re following lots of other restaurants and companies who have been introducing entirely vegan options, and I am SO here for it. Making Veganism accessible to the everyone is crucial if we want to cut down on unnecessary animal suffering… But for now, let’s talk about Pizza. One of the most recent companies to get aboard the Vegan train is Pizza Hut Restaurants, and about time! After rumours of them trialling Violife as a Vegan cheese option in *selected* restaurants it’s finally being rolled out to the masses and I was invited to give it a try at a London restaurant of my choice. 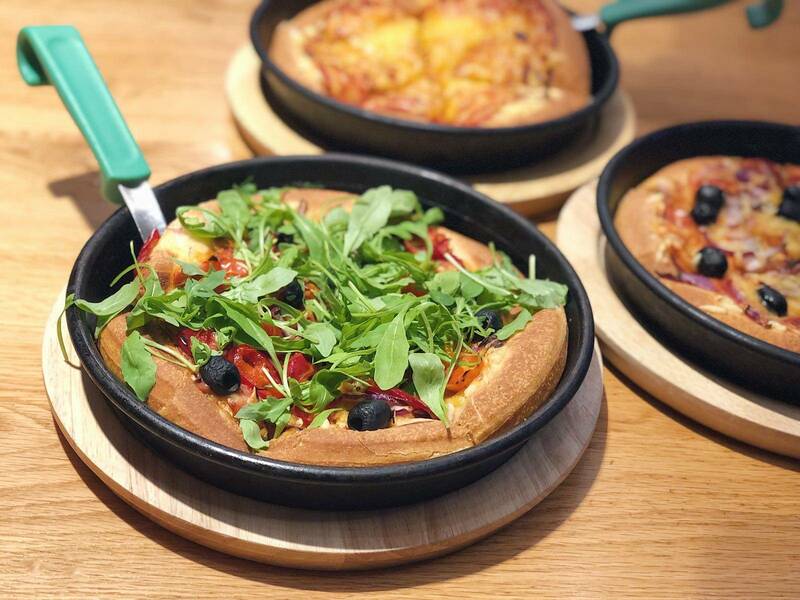 There are some other pizza places/Italian restaurants that have had the option for Vegan cheese for a while, so it’s great to see that when visiting a Pizza Hut Restaurant, Vegans (or those that are lactose intolerant) will also be able to enjoy a cheesy pizza on one of the delish (already vegan) Pizza Hut bases! The pizza I went for was ‘Heavenly Veg’ with a deep pan base, listed on the menu as having: Goats Cheese, Black Olives, Cherry Tomatoes, Caramelised Onions, and Fresh Rocket. I swapped out the Goats Cheese for the Violife Vegan Cheese, and added Roquito Peppers! My friends got a plain Vegan Margherita, and the other a Vegan Margherita with Black Olives and Red Onion. As for sides we shared some Sweet Potato Fries & Onion Rings which our waiter assured us were Vegan too – huzzah! So, the important question: HOW WAS THE VEGAN CHEESE? It was incredibly tasty, really nice to have a deep pan, cheesy pizza again! Although I have had Vegan pizza a-plenty over the past *almost* two years of having a plant-based diet and most of the time the pizza has had a thinner base (such as the pizzas from Basilico and PizzaBuzz). I was super happy to have something reminiscent of the pizza I would eat when Vegetarian. 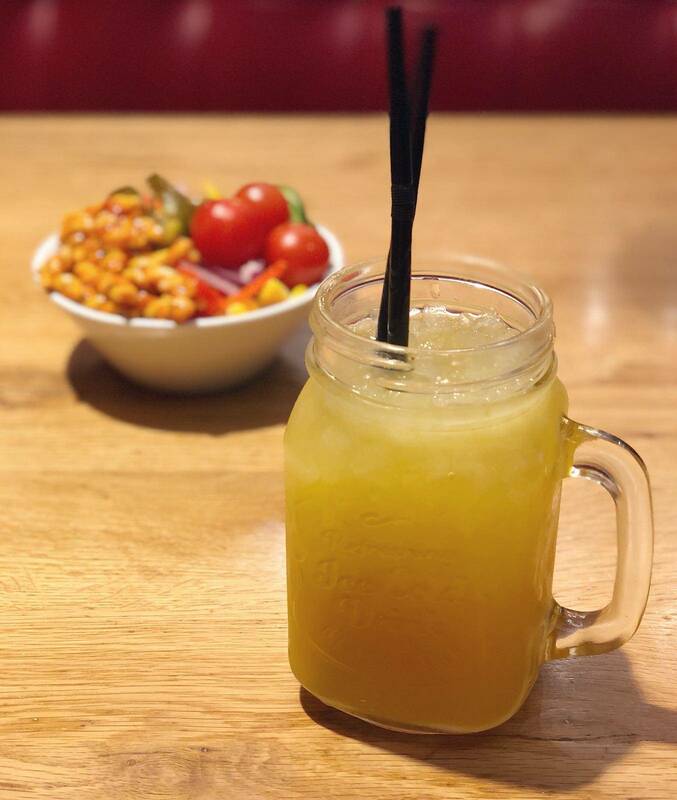 I wouldn’t say this cheese option is revolutionary, however – but I do totally get that as a chain restaurant they’ve gone for a strong company, with Vegan cheese that’s popular and well liked. Violife doesn’t have the cheesiest of flavours (I would say it’s more like a mild cheddar with a mozzarella texture?) so I suspect if a non-vegan tried two pizzas side-by-side the difference would be quite obvious. That being said, I am just so pleased there is a Vegan friendly option at another popular chain restaurant, making it easier for us Vegans to have meals with friends… Thank you Pizza Hut Restaurants! One last important thing to note, sadly the vegan cheese option is only available from Pizza Hut Restaurants and is not available when ordering from Pizza Hut Delivery. I hadn’t realised but they actually operate as different franchises to one another. I guess the last thing left to ask is: who’s making the petition for Pizza Hut Delivery to add it to their menu too? 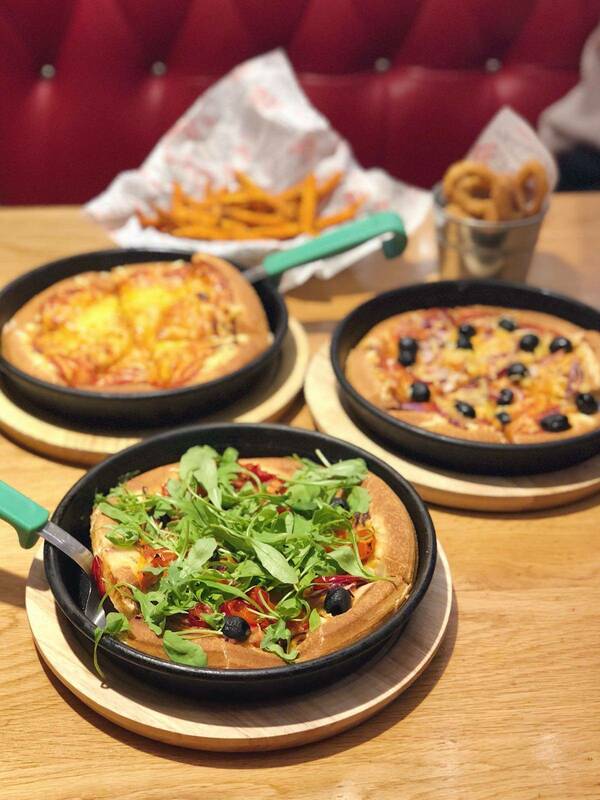 Check out Pizza Hut Restaurants website here & a full list of their Vegan friendly options can be found on their vegan-friendly blog list, here (p.s. as well as the bases being Vegan, they also have a Gluten-Free option)! This meal was provided free of charge by Pizza Hut. However my review is an honest reflection of my experience. If you enjoyed this, check out my blog all about Firezza in Soho who also do mouth-watering Vegan pizzas!